I just adore children’s knick-knack things – I love seeing them all beautifully displayed in the treasure trove that is a child’s bedroom. I’m exposed to many beautiful things here at Babyology that I’d love to bestow upon my own children if they were neat, which unfortunately they are not. Anyway, if your children are indeed neat and love to display their little treasures and cool finds then you needn’t look further than Kalma and Violeta. 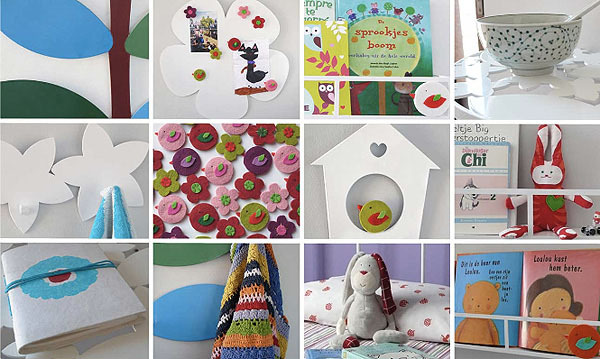 The designer behind the name is Spanish Mar Gomez who created a gorgeous collection of decorative accessories for children, ranging from hanging pegs to felt birds and even furniture. 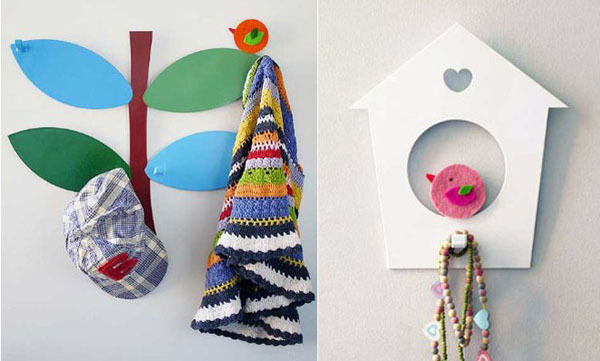 My favourite is the bird house peg rack (pictured below) made from metal and painted crisp white. The birdhouse has a cute felt bird (you can choose your preferred colour) perched in the round door who looks right at home. Maybe a pretty bird house peg will encourage some tidying? All items are handcrafted from recycled materials in limited quantities. If you live in Spain, the metal furniture is beautiful and worth a look! The Bird house peg rack is priced at €30 from Kalma and Violeta, who say it’s no trouble at all to ship to Australia.